I started refrigerator pickling thanks to the Real Dill! They have a great tutorial. Love their habanero horseradish. Still need to try the bloody mary mix. I already like them on Facebook, so no extra entries for me :(. Emily. Pickles are my favorite food. Ever. I love pickles so much, I eat them constantly. I’ve had these guys’ bloody mix (picked up from hazel and dewey i think) and it’s top notch. I want to try every single pickle flavor they make. Idk how many that is, but I can do it. My favorite thing about pickles is the 1. sourness. I can’t taste bitter (recessive gene I have) and my palette is sort of strange for that. For whatever reason, the sour flavor in pickles just appeals to me so. much. I also enjoy 2. the word pickle. Also 3. little bumps. Pickles have bumps. Idk. Pickles are just cute. Pickle shots. Pickles sandwiches. Pickle cocktails. Pickles a la mode. annnnd I liked them on fb. Love The Real Dill. Favorite flavor is Horseradish/Habenero or the Aji chile sours. Also, love their Bloody Mary Mix..I think I shall go buy both for Super Bowl Sunday. YUM! Also, I like them on facebook! there = they. no brain. We did our first attempt at refrigerate pickles (cucumbers, carrots and green beans) this past summer and they were the BOMB.COM. I love when a pickle is SPICY. PICKLES. I love the aji sours and my kids love their jalapeño honey dills! They also love the lemonade they serve up at the farmer’s market! Yum!! And of course I’m a fan on facebook! I most admire the crunch and zesty nature of a pickle…it is hard to find both in the same in the same pickle. 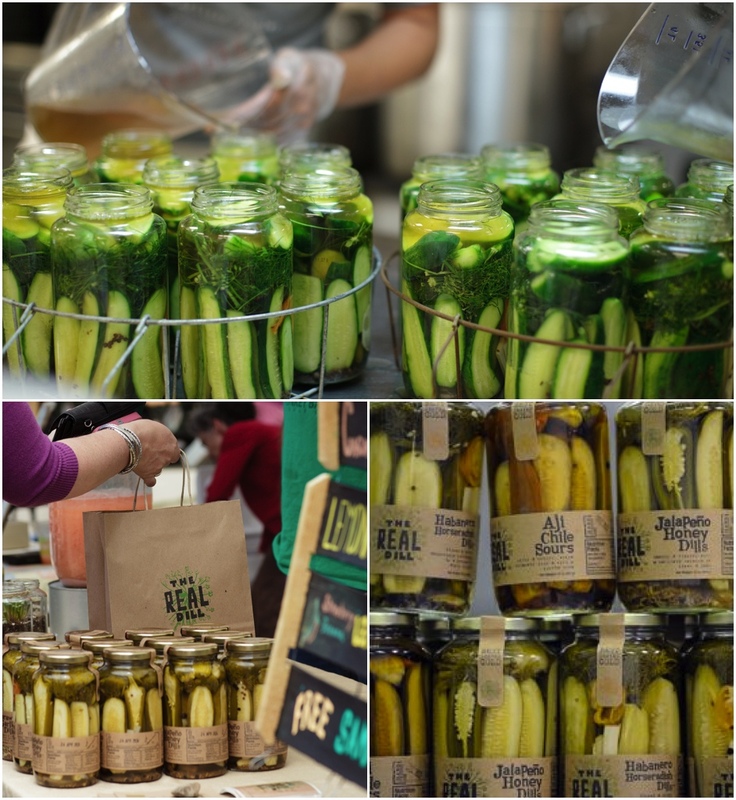 We would love to try some real dill pickles! 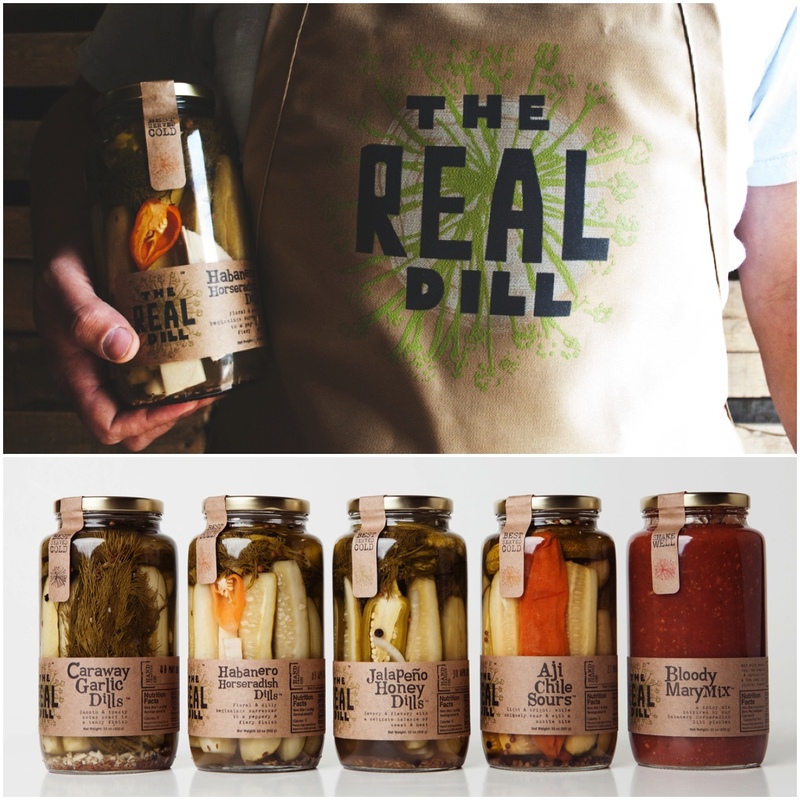 I do like the real dill on facebook! A crunchy pickle gets me every time. Also like one with a kick to it. I will like them on FB. Nothing like pickle juice to help you stay hydrated on a hot day. I LOVE the Habanero Horseradish, and my new favorite as of recent are the Garlic Caraways. I can’t seem to keep them in my fridge. Other than pickles? I can’t get enough of that delicious Bloody Mary Mix. I like these guys on Facebook! Ohhhh… I love their horseradish flavor! And that blood mary mix, it’s perfection on a slow Sunday morning. Great giveaway, and now I need a crunchy pickle, like now. My husband is a quintessential pickle man. For example, as a child he’d bring pickle trays to school for his birthday instead of cupcakes. I’m a convert too now and can’t wait to find (or win!) these Real Dill treats!